/mo. for first 12 months with 36 month agreement. Pricing, speeds, and availability vary by location. CenturyLink Business Class Pure Broadband 7 - CenturyLink Business Class High-Speed Internet (HSI) with no phone required! Get connection speeds up to 7 Mbps and start using the power of the Internet for your business today! CenturyLink Business Pure Broadband 7 - CenturyLink High-Speed Internet (HSI) connection speeds up to 7 Mbps, giving you the power to take control of your business Internet. 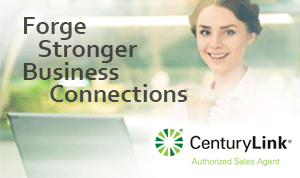 Download and upload faster, stream training or presentations online, and video conference with the CenturyLink Business 7 Mbps Pure Broadband stand alone internet plan. How fast is CenturyLink's Business Class Pure Broadband 7 Mbps Plan?